^^^^ Love the monochrome look of your new Prodiver...but prefer the white dial you let go! Thanks Spoonsey. The white dial is definitely more unique, but the monochrome look is hot too. I truly regret selling my previous one but I am very happy with the new watch. WatchDialOrange, Spoonsey and Ric Capucho like this. NikAlex, stuffler,mike, LH2 and 5 others like this. Looks fantastic ! I didn't see this one on Stowa's website. Love to see it on the steel bracelet also if you have it. WatchDialOrange, Ric Capucho, platinumEX and 1 others like this. Thanks! I think the nickle hands are rarely offered by Stowa. Most of the other Prodivers I have seen are with orange or black hands. It was listed as an exhibition watch under their accessory tab. Not sure how long the watch was listed there but it took me an entire week to finally hit the "add to the cart" button. I read that you have a limette Prodiver incoming. Did you get it with black hands or orange hands? 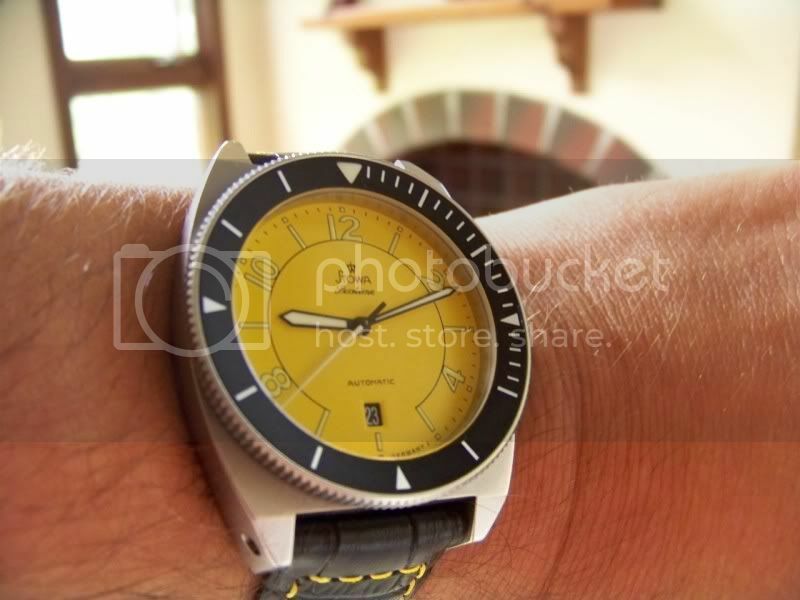 Originally I had the lime on order a year ago but I got the used white dial Prodiver on WUS so I cancelled it. The limette color is probably my favorite colors for the Prodiver. I know Mr. Schauer wears one himself! I don't currently have the steel bracelet for this watch. The old white dial Prodiver however did come with that and here is a picture for you. And I have swapped the original Stowa rubber strap with one of the Maratac Elite I own. It is a 24mm and I have notched the width to fit the Prodiver. I think this is more comfortable than any type of rubber straps out there. Last edited by senna89wc12; October 1st, 2013 at 19:33. WatchDialOrange, Ric Capucho and supawabb like this. 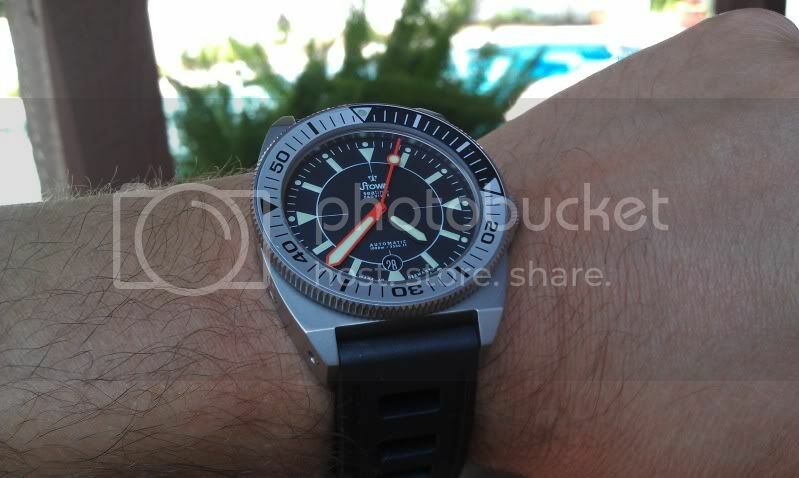 yes i ordered the Limette Prodiver with orange hands and new Black/Silver bezel. It's coming with theSteel bracelet and not sure I will ever take it off the steel. Very nice watches Brad & Chris! WatchDialOrange, NikAlex, Ric Capucho and 5 others like this.